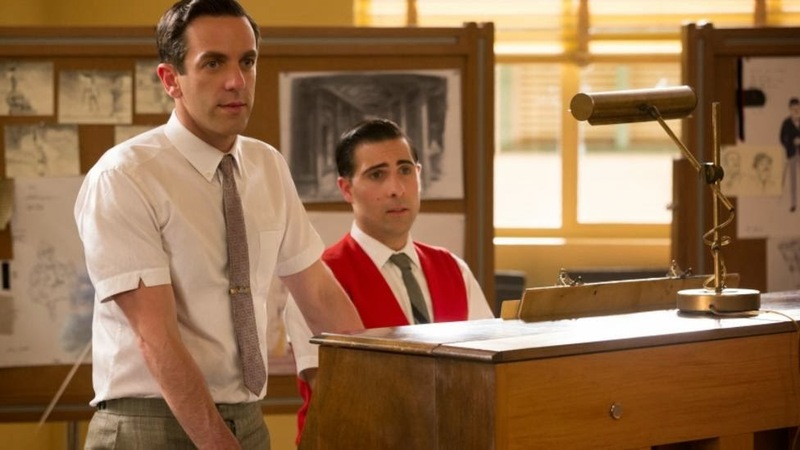 Richly rendered, intoxicating and ingenious, Saving Mr. Banks is at times no less fantastical than stories about governesses who can fly. Director John Lee Hancock of The Blind Side fame, writers Kelly Marcel and Sue Smith, and the superb ensemble of seasoned actors create a riveting backstage account of artistic collaboration, a clash of Hollywood titans marbled with moments of high comedy. The Walt-worthy giddiness, depth of feeling, and the stunning performances elevate the story above its premise as an unapologetically retro valentine to the studio that is the most literal Hollywood dream factory. 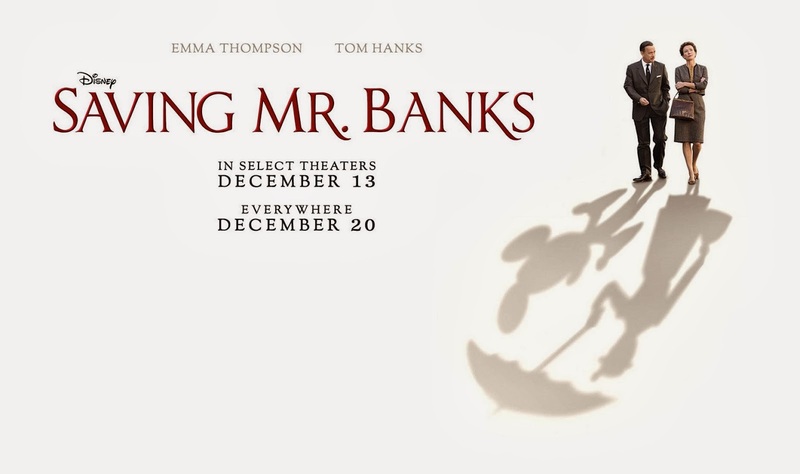 Thick with affection and old-fashioned showmanship, the movie is a Disney fairytale based on fact, namely the making of Mary Poppins, the much beloved 1964 musical fantasy that put Walt and his boys on the map as serious creators of live action family entertainment. 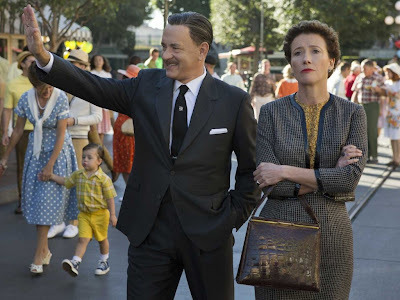 There are knowing winks to Disney’s flying nanny, but Saving Mr. Banks is accessible and enjoyable to even those entirely innocent to the original film—if such people exist. 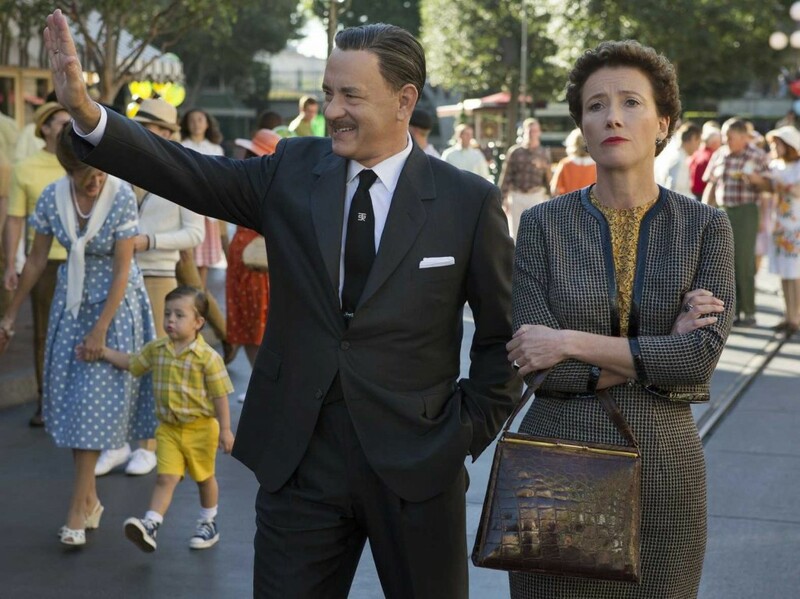 Saving Mr. Banks chronicles two weeks in 1961, the final stage of Disney’s decades’ long pursuit of P.L. Travers, the Australian-born (but in every way British) author behind Mary Poppins. In the role of Mrs. Travers, as she would like to be called (and never is), Emma Thompson is a sharp-tongued, spit-spot pleasure—although the boys at the studio would likely have called her something else entirely. Perfectly cast as a fearsome figure of female steeliness and stiff, spirited fussiness, the actress douses each line of the acerbic dialogue with that extra drop of vinegar for acidic good measure. In the sixties, the real Travers started a war of attrition at Disney over the book adaptation, swearing her cherished creation will not be turned into another one of the studios’ confectionery extravaganzas, “cavorting, twinkling… careening toward a happy ending like a kamikaze.” How wrong she was. 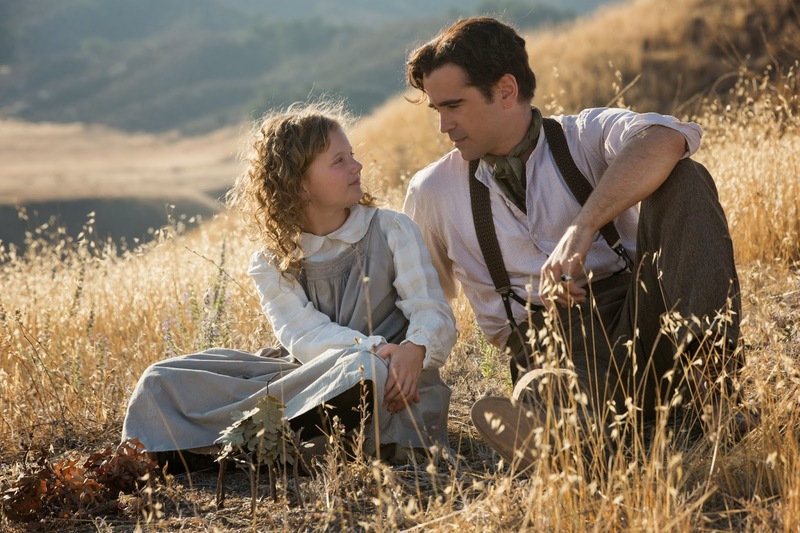 The irresistible force to her immovable object, Tom Hanks’ mustachioed Hollywood magnate is all soft-spoken Midwestern manipulation, his Missouri twang mellowed by the California sun, but none of the apparent friendliness and reassurance gone. But those who know Disney will tell you that behind the twinkly-eyed, boyish sense of wonder lay an iron-fisted resolve, and Hanks, himself a gleaming icon of wholesome American entertainment, conveys both the studio head’s folksy charisma and his canny powers of persuasion. Her posh hotel suite makes her mood grow even more despondent. Each room is decked out like a small child’s birthday party, with balloons, candy, baskets of fruit, and enough stuffed animals to make a large kindergarten rejoice. Forlornly glancing around, she settles on cramming everything in a closet, only to be assaulted by a giant Mickey Mouse on her bed. “Stay there until you learn the art of subtlety,” she tells the plush rodent after placing him in the corner of the room. These flights of showbiz fancy are grounded with dusty, golden-hued flashbacks to 1906 Australia, where the famous author spent her childhood, and Hancock delves into a coming of age tale lined with broken hearts and broken dreams. Born Helen Lyndon Goff (she is played by newcomer Annie Rose Buckley at 7), Travers lived in near squalor in the Australian outback, in the charge of an overwhelmed mother (Ruth Wilson of The Lone Ranger) and a deeply loving but also deeply alcoholic father (a sad-eyed, sympathetic, splendid Colin Farrell). The reasons for the author’s overprotectiveness come partly from the circumstances she grew up in, and the film becomes an exploration of the transformation of childhood pain into art. Although they add gravitas and depth, these sections are undoubtedly the weakest and least interesting in the film, mostly for both Hanks’ and Thompson’s absence. Disney’s own harrowing childhood story, narrated soberly in a fraction of the time it takes to sketch in Travers’ early life, holds just as much, if not more, weight, without feeling like an unwanted, killjoy intrusion. For fans of Disney’s version of Mary Poppins, the best scenes will take place in the studio rehearsal room, where the nonstop back-and-forth bickering and wooing takes place against a lavish sixties background brilliantly captured by the production design and costumes, and the uplifting, charmingly redolent songs written by the Sherman brothers mesh with Thomas Newman’s beautiful score. “It’s what we storytellers do: we restore order with imagination,” Disney tells Travers, halfway through a cloyingly self- righteous, self-serving speech on the role of stories (read: Hollywood). What’s wonderful about it is that Saving Mr. Banks succeeds in proving his point, hitting that sweet spot Disney movies are known and loved (or hated) for. Somewhere, Walt is smiling.